Excellent service and quick delivery. 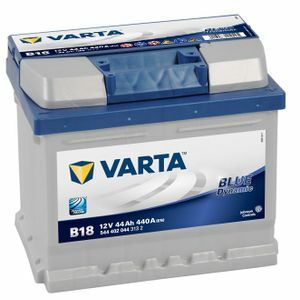 This battery replaced the Varta B18 battery that had given such good service for over eight years,the best battery I have ever had by far. It's a battery, it fits and it works. Only time will tell how good it is as longevity is the differentiator of how good a battery is. Type 063 fitted fine despite Type 012 being the recommended battery. It does exactly what it said on the tin. This battery is an exact replacement for my old same battery on our 2004 petrol Ford Fiesta 1.4 model. The car starts really great now. Well done Tayna. A happy customer from Bournemouth. I ordered two of these online for two cars of the same age and model. Both arrived in perfect condition and fully charged. Fitting was simple, though It's too early to comment on how the batteries will perform over time. Tayna were very efficient and delivery was next day exactly as promised. Very satisfied with the battery. It came on time and was well packed. Hassle free with appropriate advice if required and always the best prices. Quick answers on questions sent via website, reliable and fast delivery, competitive prices. Recommended! Used Tayna before, so didn't need to look anywhere else when I needed another car battery. Excellent company and they will always be my first port of call whenever I need a battery. Good product, arrived a little bit later. Thanks. This battery replaces the Varta I put in my Citroen 2 CV at least 20 years ago! Great battery, thanks. avevo sbagliato l'ordine ,rispedita al mittente e rimborsato completamente : ottimo venditore ,lo consiglio per la professionalita',la serieta' ,la qualita' , e il prezzo.